Heat oven to 350°F. 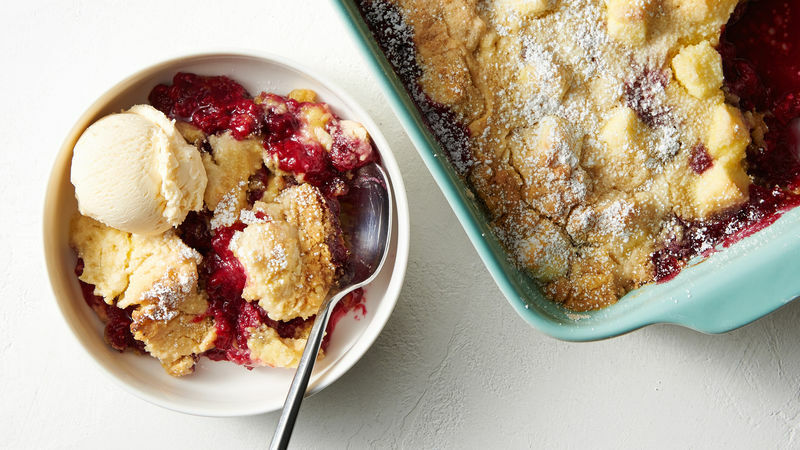 Toss frozen raspberries with granulated sugar, and spread evenly in bottom of 13x9-inch pan. Top evenly with cubed cream cheese, then sprinkle evenly with dry cake mix. Pour melted butter evenly over top, covering as much cake mix as possible. Serve cake à la mode with vanilla ice cream or with lightly sweetened whipped cream, if desired.